This page from the 1959 Rupert Annual perfectly instantiates my own take on information design. The narrative can be read at four levels: the page title (‘Rupert heeds a warning’), the pictures, the rhyming couplets and the full text. This is truly multimodal, involving looking, reading and hearing (the couplets are designed to be read aloud), and it works for children of different ages. The content isn’t identical in each version – it can’t be – but each adds the particular kind of information or experience that its channel affords. You can read one level all the way through (although the pictures alone would require some guesswork), or you can move between levels on each page. You can read alone or together, and adults reading aloud to children are discouraged from rushing through by the length of the prose version. The topic may not be informational but its integration of content structure, language and page design, its provision for alternative reading strategies, and its different modes of presentation make it the perfect hook on which to hang some reflections on what information design might be. Information design is about the application of a design process to information and informing. When Bryan Smith and I started Information Design Journal in 1979, we adapted the name that Herbert Spencer used at the Royal College of Art: ‘Graphic Information Design’. We dropped the ‘graphic’ because we wanted the same design process to apply as much to content and language as to its graphic appearance. So although information design is usually seen as a subset of graphic design (for example, when it is an option in a graphic design course), for me it is as much the other way around. An information designer needs skills that go beyond graphic design – service and experience design, rhetoric, writing and user-testing, for example. 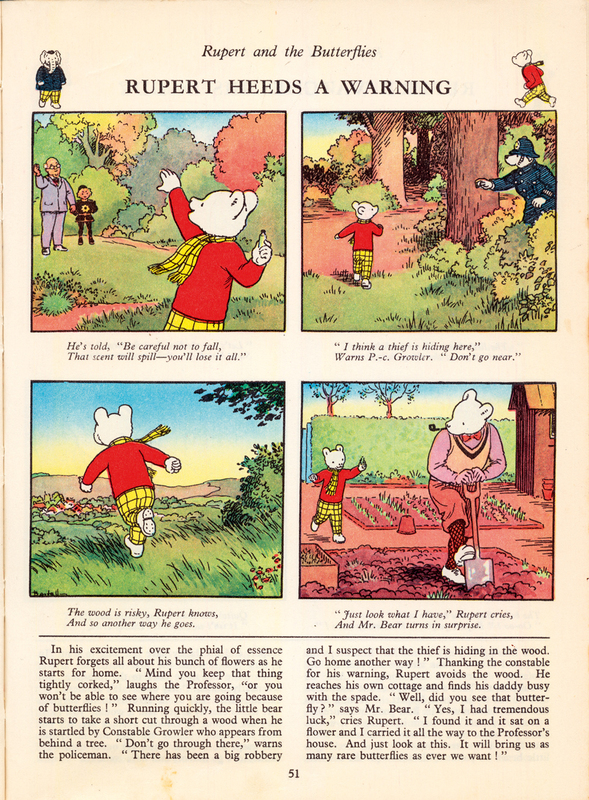 This Rupert Bear page also demonstrates the importance of balanced power relations between words and layout. The verses are couplets – two lines each – and the prose comprises exactly twenty lines per page. This is by design, and the writer had to edit the prose to fit the space just as much as he had to make his verse fit the metre, and as much as the illustrator had to respect the edges of the frame. The layout is essential to the argument. Once printing took over from manuscript, it took hundreds of years to overcome the technically enforced separation of word and image. We’ve been through a 40- or 50-year golden age of structured text and layout in book and magazine design, temporarily halted by the enforced separation of text and image online. 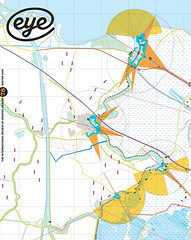 But it would be too early to mourn the death of layout – the evidence from early explorations of the iPad by magazine and newspaper designers shows that it is once again going to be possible to create fixed graphic relationships between elements on a page, allowing readers to see content structures and use visual memory. You could hang a lot more theory on to a Rupert story – for example, about the nature of the transformations between different modes, and readers’ responses to structured text. But we’ll read that story another night. Rob Waller is professor of information design at the University of Reading, director of the Simplification Centre, and chair of the Information Design Association.